Despite the huge demand for the latest products from the US, many of these US stores fail to offer international shipping and require a US shipping address or US billing address for purchase. Some consumers have been able to get around these barriers by using freight or parcel forwarders. However, US stores have begun to ban orders to these addresses as a precaution against reshipping fraud and increasing incidents of missing parcels and damaged goods. International consumers who have found themselves at a loss for a solution should look no further than Big Apple Buddy. What is a parcel forwarder? Parcel forwarding is an international shipping service offered by shipping companies to consumers wishing to do cross-border shopping. These businesses have become more and more popular year after year due to the rapid growth of e-commerce and emerging shipping limitations. First, a consumer receives a native shipping address from a package forwarder and uses this address when placing the online order. Parcel forwarders then handle the package and ship it to the consumer's home for a fee. Here are the parcel forwarders currently dominating the market: Borderlinx: With a free account, you'll get a US and UK address for online shopping use. Their main courier is DHL and the full service includes repackaging and consolidating packages. The site also has an estimate calculator and tracking service for members. ComGateway/HopShopGo: HopShopGo offers both repackaging and consolidating packages. The site also has a BuyForMe service and a time and cost calculator. vPOST: Registered users will receive addresses for the US, Japan, and Europe, meaning you can shop from any sites based in these locations. vPost however only ships to 5 countries: Singapore, Australia, India, Malaysia, and Thailand. 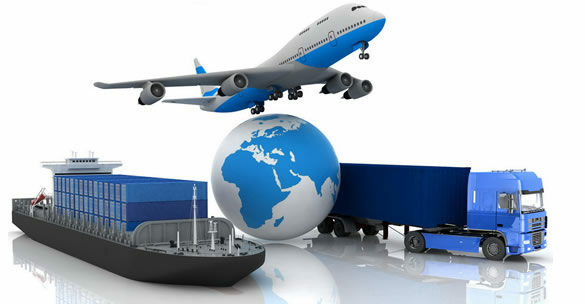 Services include a shipping calculator and package consolidation. Shipito: This parcel forwarder doubles as a storage space for up to 90 days and will ship out your items using your shopping method of choice. Registered members will receive email notifications and have the option of receiving the packages individually or consolidated. Aramex: Aramex offers domestic, export, and import express as well as land, ocean, and air freight to meet your shipping needs. Some US store choose not to ship to parcel forwarders due to liability issues. Businesses wish to not be associated with any reshipping fraud or missing or damaged goods. Many stores also refuse to ship to parcel forwarders in the interest of protecting relationships with manufacturers and shipment services. Here are just a few popular US stores that won't ship to parcel forwarders: Best Buy: “Best Buy does not ship to known freight forwarders, and orders to such will be canceled." Sephora: “We regret that we are unable to ship to the shipping address you have provided as it is associated to multiple people. This was a business decision and we are unable to make an exception. We apologize for the inconvenience.” Hollister Co: “HCo’s policies do not allow merchandise to be reshipped in any way. Any order that is being shipped to a “Freight Forwarding Company” will not be accepted.” Discovering that a store does not ship to your chosen forwarder results in a number of problems. You've spent time browsing the online store, filling out order forms, entering billing information, and waiting for the order to be processed. Then your order is cancelled a few days later. You may have to wait weeks for your money to be returned and will probably waste more time speaking with customer service representatives. You need an alternative. Big Apple Buddy, a shopping concierge in New York, was founded with the mission to bridge this gap in international shopping, giving a chance to anyone in the world to purchase latest tech gadgets directly from the U.S. As a concierge service rather than a forwarding facility, Big Apple Buddy is immune to the store restrictions mentioned above. The process is extremely easy - consumers simply tell the company what they would like to buy from America and then they will have their product personally sourced and shipped to their doorstep. All costs are set out in a free quote with a minimum service fee of $50 per order. The service fee covers all the leg work the company does for its clients from purchase to delivery, including discount negotiations, packaging, shipping and providing personalized product and shopping advice. If order issues arise, Big Apple Buddy will independently handle it. With no markup shipping costs, the overall cost is approximately the same as a forwarding facility but without the restrictions. Big Apple Buddy will source the item as quickly as possible, check and repackage the goods upon arrival at their facility, prepare all necessary customs documentation and have the parcel safely shipped to your doorstep in as little as two business days. Speed, convenience, and reliability have allowed the business to develop a loyal client-base in over 110 countries around the world. To read some reviews from past customers, please visit our Facebook page. Ready to buy from US stores that won’t ship to parcel forwarders? Visit our quote page or email us at hello@bigapplebuddy.com to get a free shipping quote today! We currently ship to over 110 countries worldwide, including Australia, Austria, Belgium, Canada, Denmark, France, Germany, Hong Kong, Ireland, Israel, Italy, Japan, Kuwait, Malaysia, the Netherlands, New Zealand, Norway, Saudi Arabia, Singapore, Spain, South Africa, Sweden, Switzerland, Taiwan, Thailand, the United Arab Emirates and the UK. Big Apple Buddy has a mission to eliminate international shopping barriers, giving consumers access to the latest tech products as soon as they are released in America, regardless of where they are in the world. Let us help you where other have failed you.